Product prices and availability are accurate as of 2019-04-18 15:06:01 UTC and are subject to change. Any price and availability information displayed on http://www.amazon.co.uk/ at the time of purchase will apply to the purchase of this product. 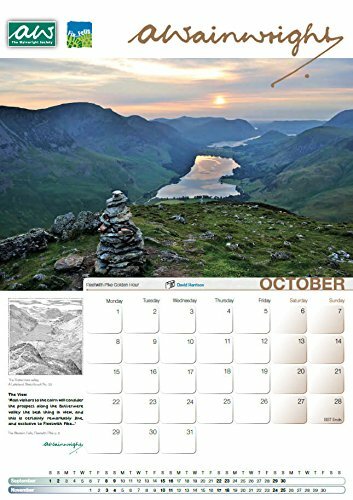 First produced for 2010 The Wainwright Society Calendar continues to be hugely popular. Once again the Society has produced a calendar for 2018 utilising the photographic skills of some of their members, all of whom have provided their work free of charge. 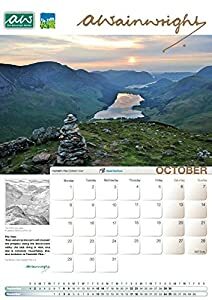 -The proceeds from sales of the 2018 calendar will be donated to Fix the Fells which undertakes the repair of eroded and damaged upland paths in the Lake District. The work is undertaken by National Trust fell rangers and Lake District National Park Authority volunteers. The calendar is large format, size A3 (297mm x 420 mm), with one page per month. Each month features a photograph together with a related sketch and quote from one of AW's famous works. A perfect gift. Secure your purchase by clicking the shopping basket button at the top right of the screen now. 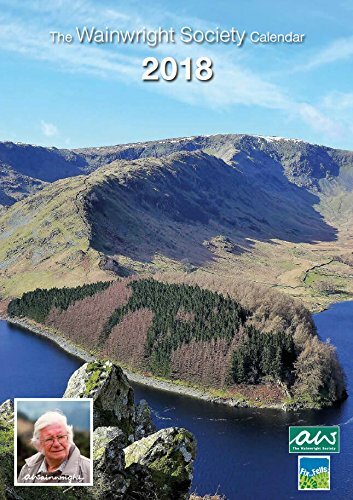 Also available as a special offer with the book Wainwright Revealed or Encounters with Wainwright - see separate listings for a perfect gift.